Medica has redefined blood gas analysis, allowing blood tests for critically ill and emergency patients to be performed rapidly and accurately. Medica’s EasyBloodGas™ and EasyStat® analyzers are designed in modular formats with small footprints to save laboratory space. Routine maintenance is limited to the replacement of reagent modules, electrodes, and a single pump tube, minimizing analyzer downtime. Additionally, Medica’s blood gas analyzers digitally store quality-control and patient data, so all results are available to lab and clinic personnel. 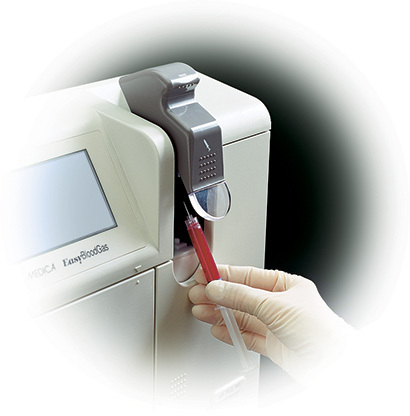 Medica’s blood gas analyzers all interface with laboratory information systems (LIS).